It is done! 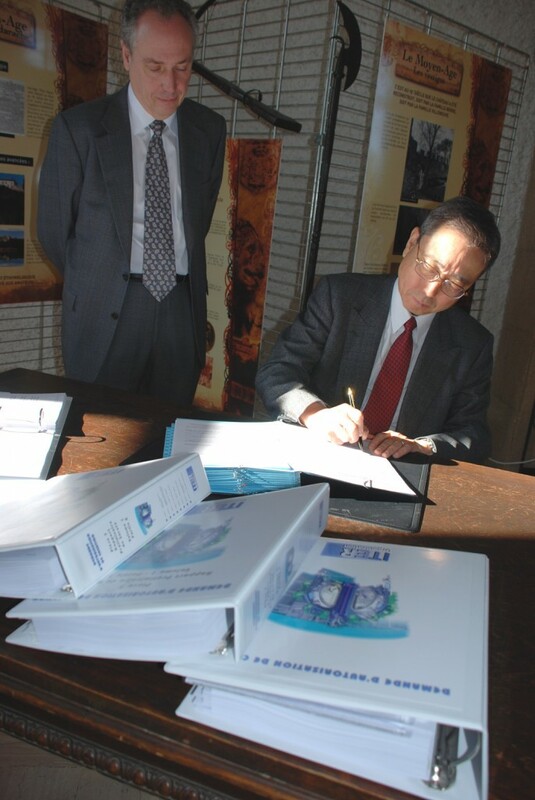 Carlos Alejaldre watches ITER DG Kaname Ikeda signing the Safety Files. On Thursday, 31 January 2008, the so called DAC files (Demande d'Autorisation de Création) which include the Preliminary Safety Report (Rapport Preliminaire de Sûreté, RPrS) were signed by Director General Kaname Ikeda and sent off to the French Nuclear Authorities. The RPrS together with the Impact Study are the principal documents supporting the application for the licensing of the ITER construction.